When an individual dies without a will or heirs, their assets will escheat to the state. Some individuals see this as “free money” and a golden opportunity to profit. In one such case, an attorney filed a petition to reopen a closed estate on behalf of alleged “heirs” to a woman who passed away without a will, and whom the state believed to have died without any heirs at all. After the attorney appointed to act as an administrator hired Von Langen LLC to investigate whether the proffered “heirs” had a right to the decedent’s estate, we learned that, not only was there a lack of support for the attorney’s claims, but there was, in fact, an heir to the deceased woman’s estate. 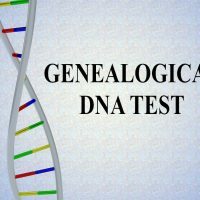 Learn more about the case below, and contact our team of forensic genealogists for help in your probate or estate administration. Anna Pellny, 97, died in 1998 in Oakland County, Michigan. Her husband had died decades before, and the couple had no children. Pellny had immigrated to the US from Germany in the early 1920s, settling in Detroit with a man she had married in Germany. Pellny was born in East Prussia, in a town that was hit hard by World War II and has since become a part of Poland. When Pellny passed away, it appeared that she had no family in the US, and no heirs to her estate stepped forward after her death, so her estate had been closed with the assets slated to be turned over to the state. Despite careful research and examination of public records in Germany and Poland, we were unable to locate documentation of Pellny’s parents’ births or deaths. In 2011, an attorney named Theodore Cheslak filed a petition to reopen the Pellny estate, with the assets to be distributed to individuals living in Germany that Cheslak claimed to have located and proved to be her heirs. It seems that the dearth of official records in Pellny’s hometown worked in Cheslak’s favor. In filing his claim on behalf of Pellny’s alleged heirs, Cheslak relied on a pamphlet allegedly created by a Lutheran pastor which listed the former residents of the area of East Prussia where Pellny was born. Cheslak claimed that the pamphlet proved that Pellny’s father had a brother, and that this uncle’s descendants (for whom Cheslak held power of attorney) were alive in Germany and entitled to receive Pellny’s assets. Cheslak had also petitioned to have himself appointed as administrator of the estate, thus making him entitled to a fee. Cheslak produced certain documents in support of his claim, such as death certificates for the alleged uncle, his wife, and heirs, but could not provide documents linking these individuals to Pellny. While the probate court agreed to reopen Pellny’s estate, it chose to appoint Erma Gillis as the personal representative of the decedent rather than Cheslak. In turn, Gillis hired Von Langen LLC to conduct research on Pellny’s home region and the existence of any living heirs. Our German research partners could not verify any of Cheslak’s claims. After extensive research into statistical records and church books in what was once Pellny’s home country, we discovered the birth certificate of Pellny’s younger sister, Charlotte. Charlotte had passed away, but her daughter, Elfriede, survived, and she appeared to be entitled to inherit from Pellny’s estate. Yet again, thorough and objective research produced reliable and trustworthy results for our client. If you’re in need of the services of a reliable, detail-oriented, and experienced forensic genealogist, contact the offices of Von Langen LLC for a consultation on your case at 800-525-7722.